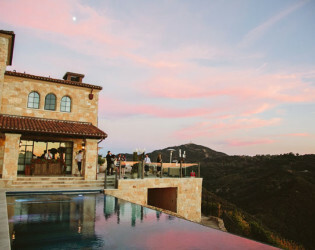 As close to heaven as you can get, you can practically touch the clouds here. 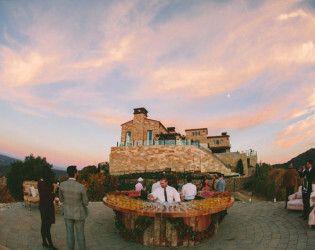 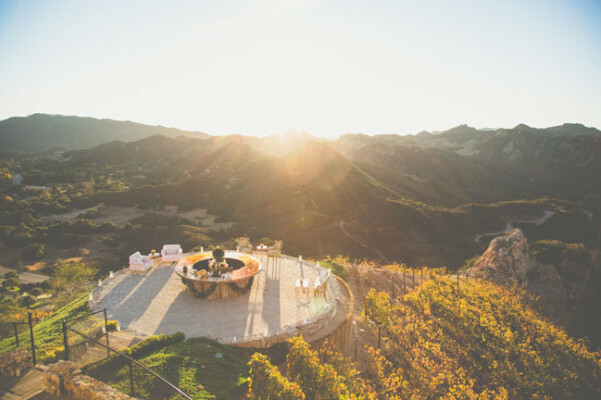 They say love gives you wings, but you won't need em' at this sky high vineyard venue. 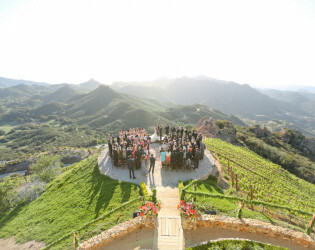 Founded in 2003, Malibu Rocky Oaks Estate Vineyards in a private estate consisting of 10 acres of vineyard. 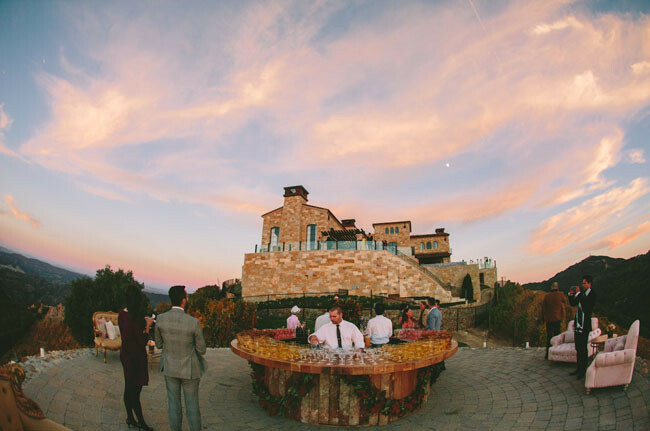 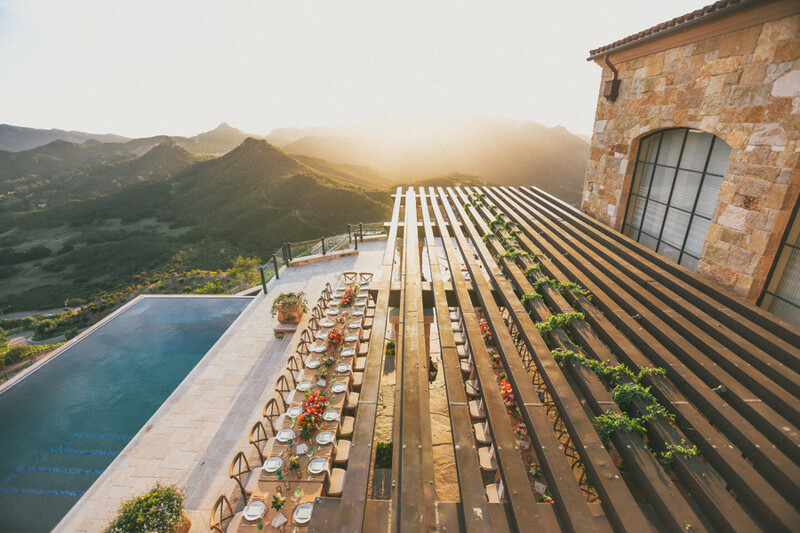 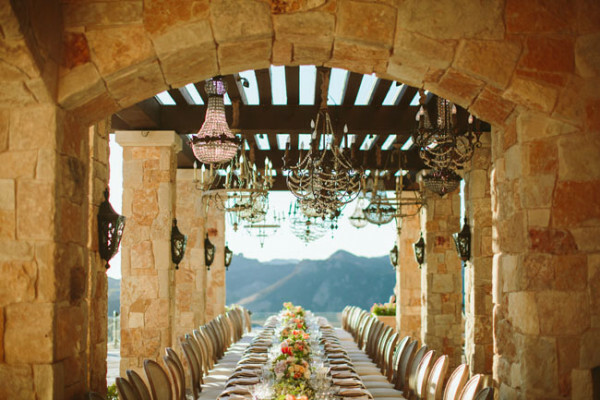 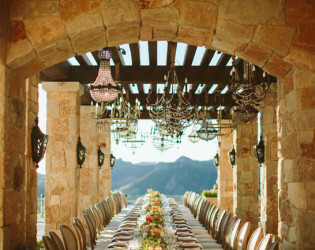 Complete with 360 degree views of mountains, and hillsides, to the Pacific and vineyards, this Tuscan style mansion is as breathtaking as it is romantic and intimate. 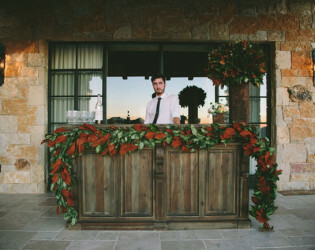 $4000 refundable security for parties over 75 $500 Cleaning fee per night All vendors are separate. 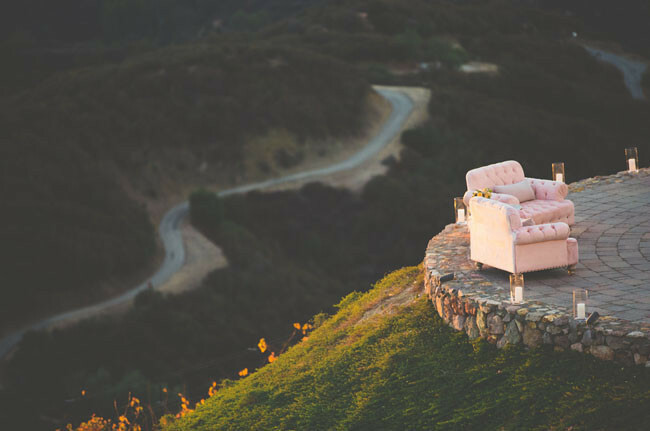 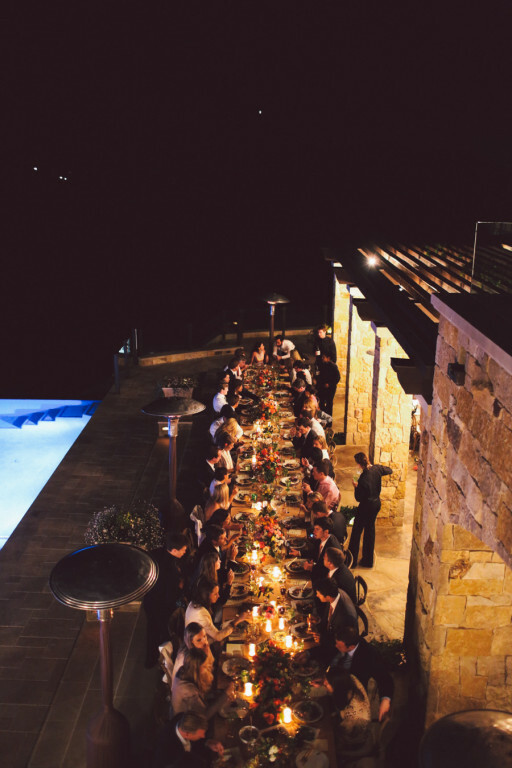 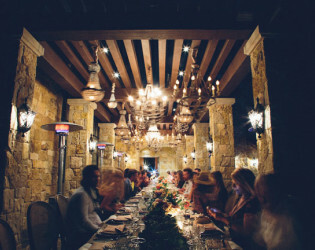 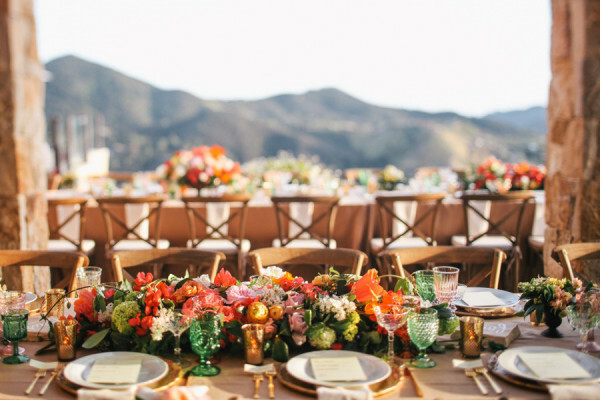 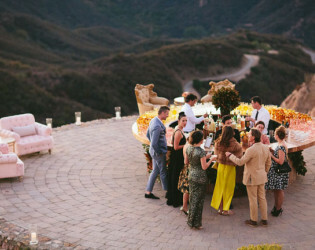 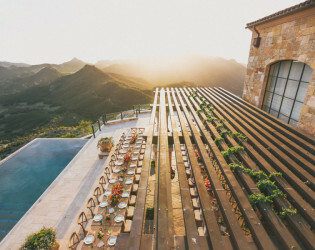 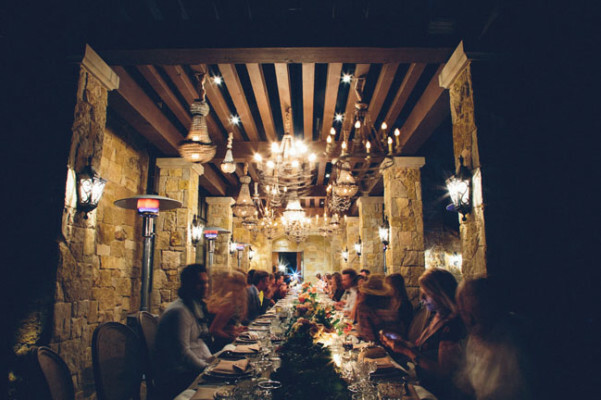 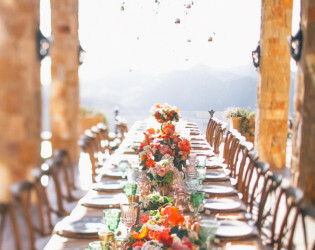 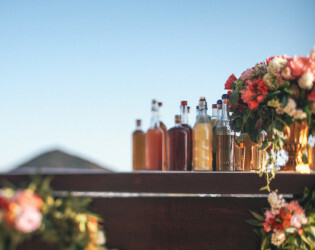 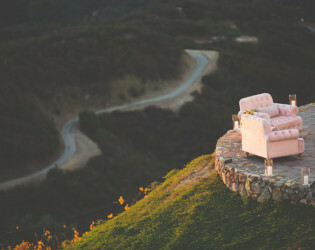 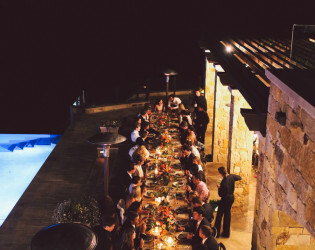 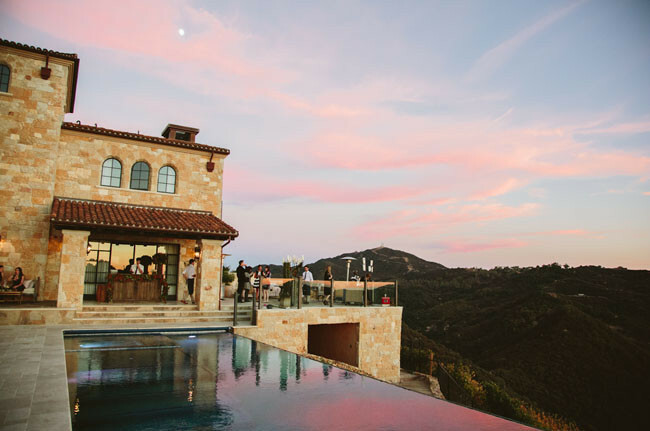 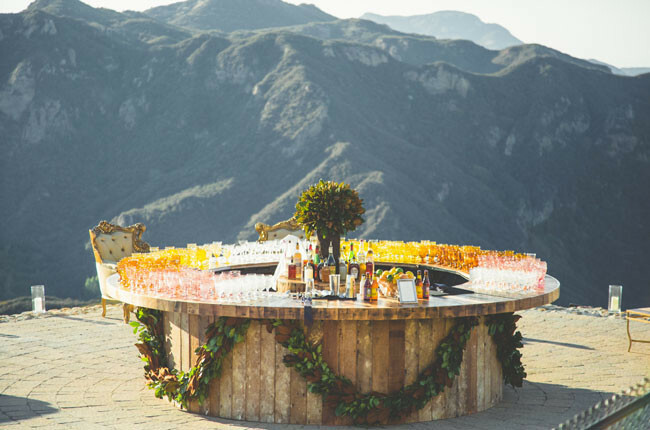 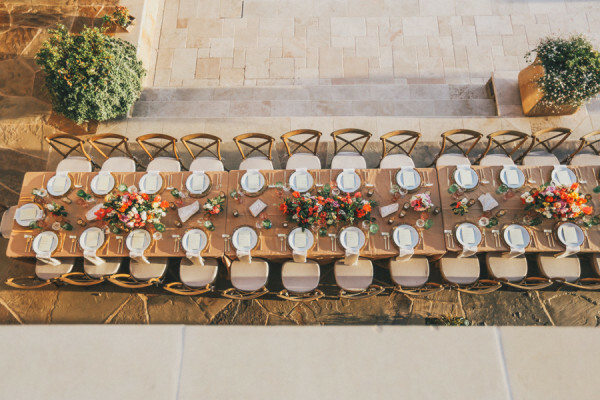 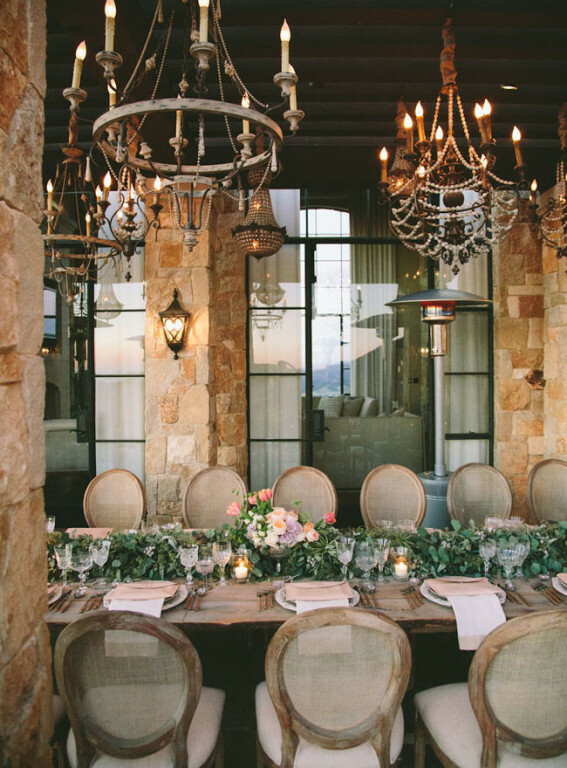 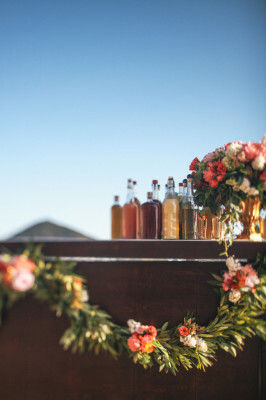 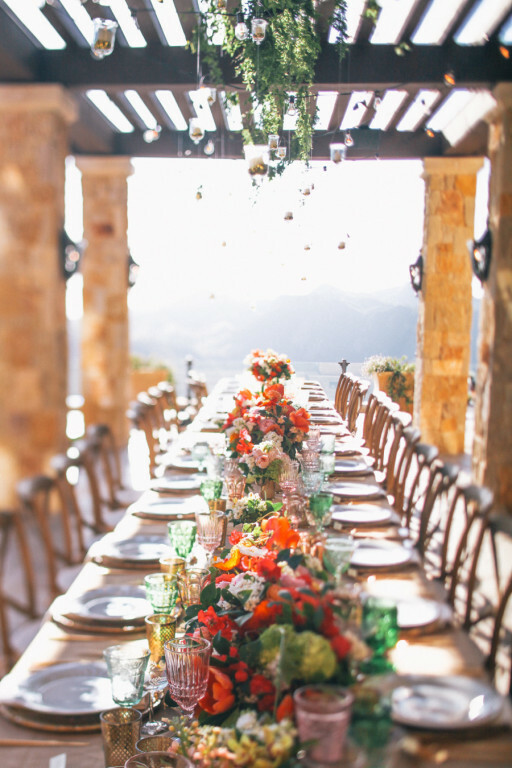 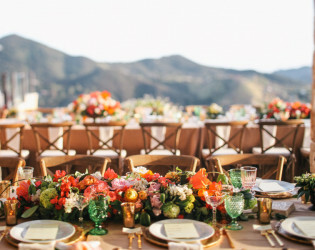 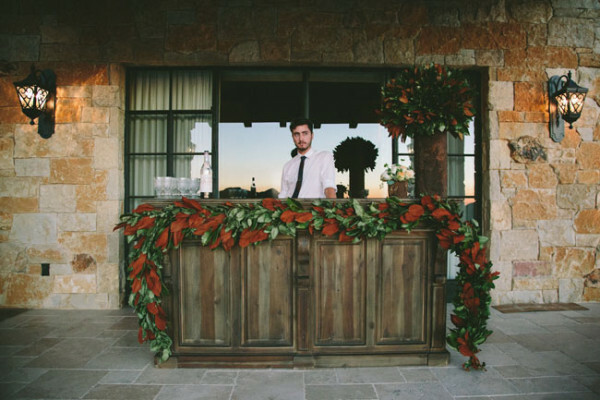 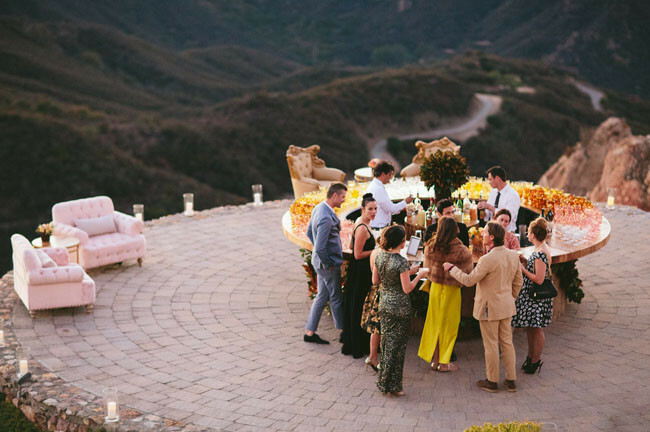 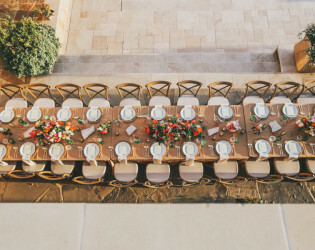 Malibu Rocky Oaks is never closed for private events, but it's recommended for the best weather and green vines to book from April to November. Master Bedroom & Bathroom for Bride and a waiting room for groomsmen or nanny. 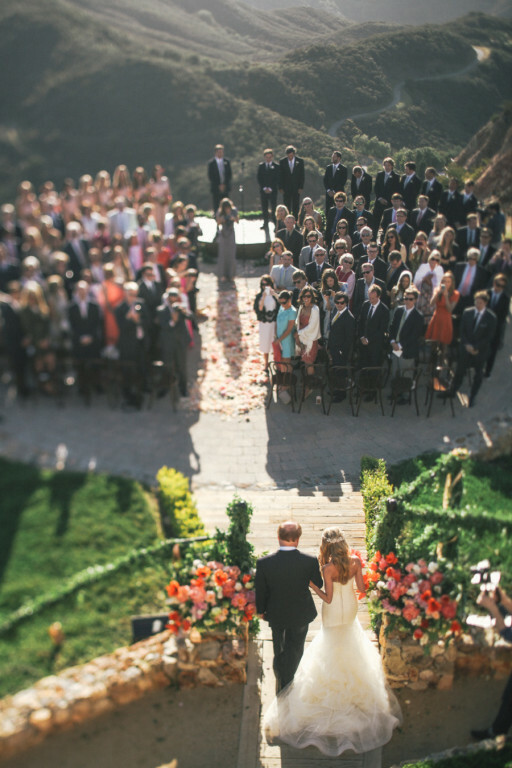 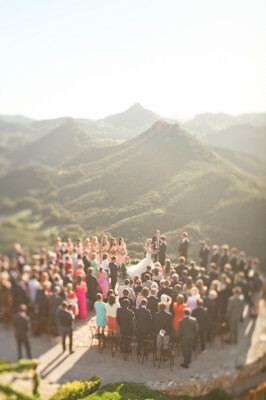 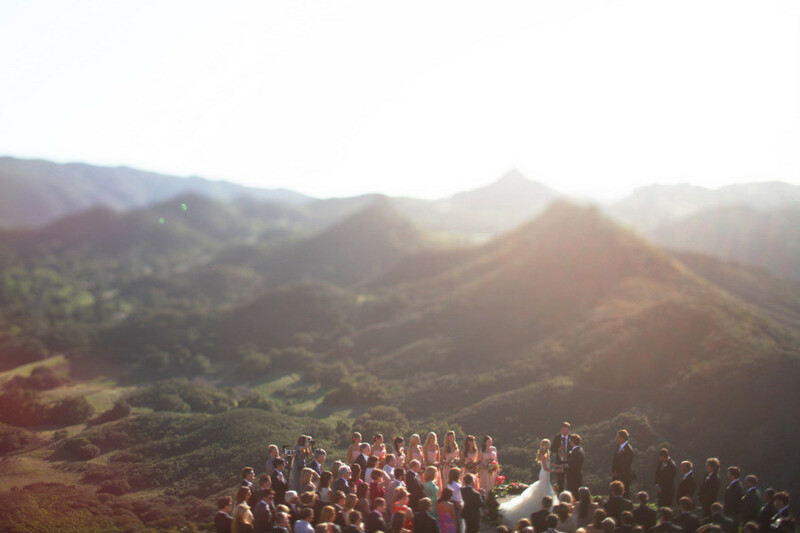 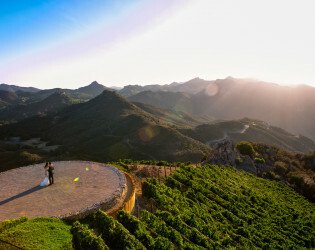 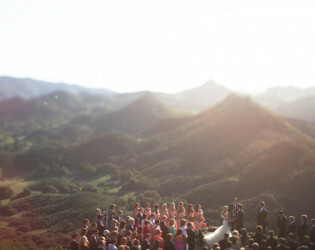 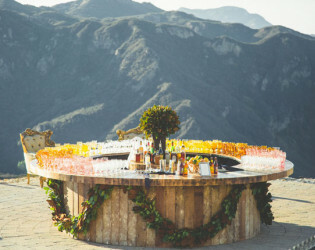 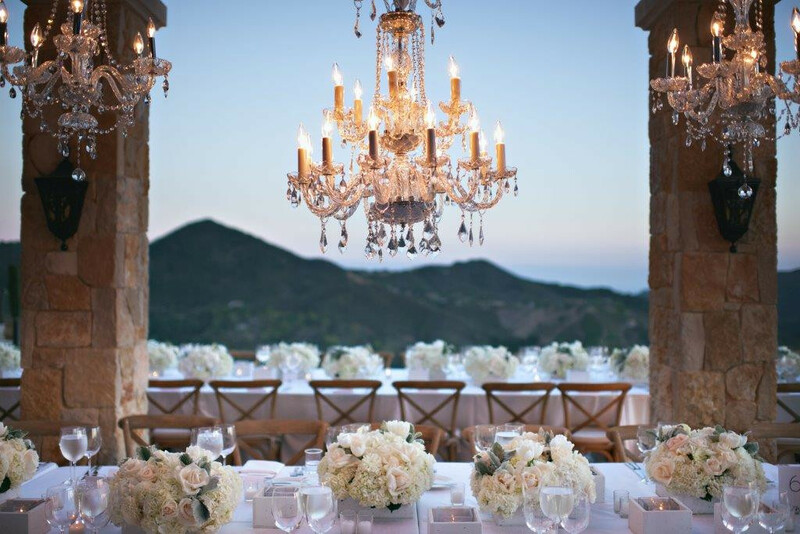 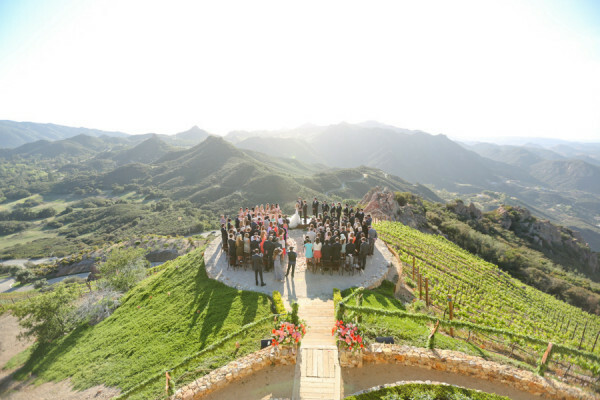 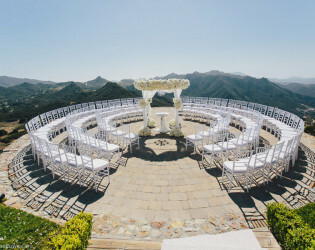 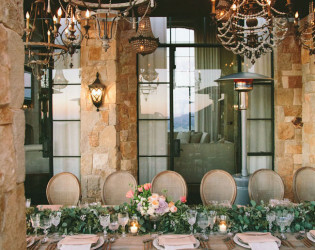 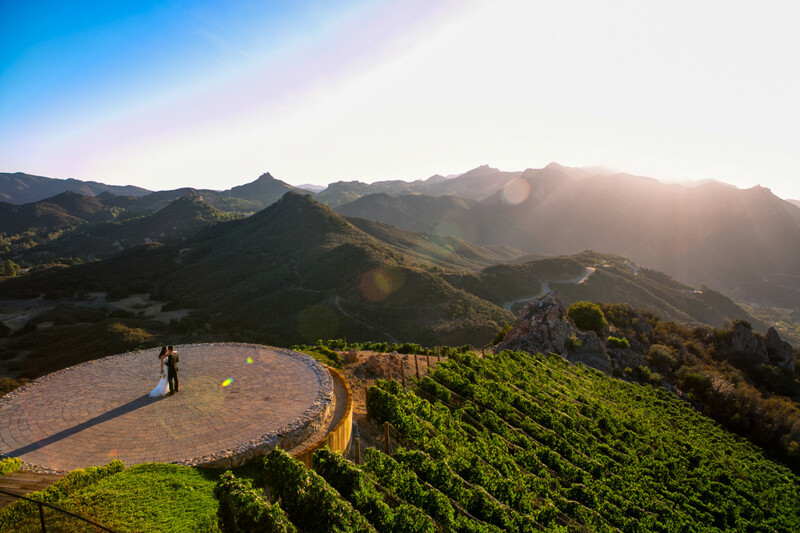 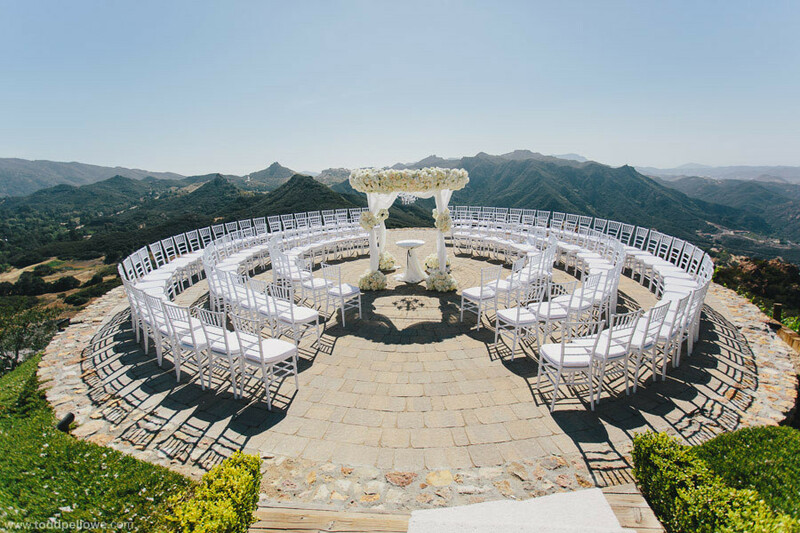 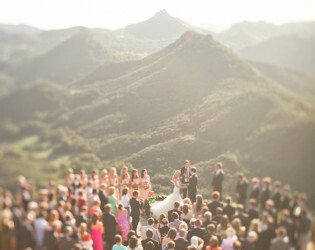 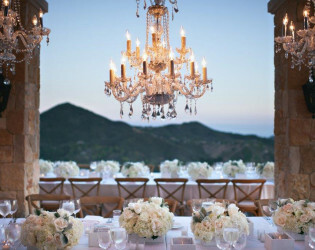 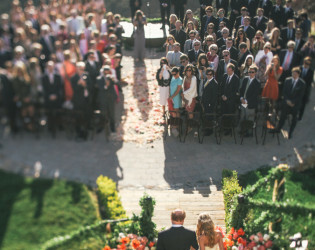 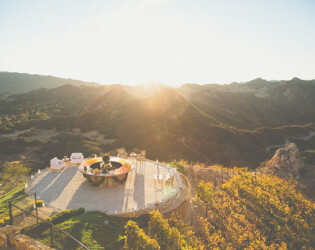 This Malibu venue has breathtaking views ideal for wedding ceremonies and receptions.